The Bear Collection from the renowned French teddy bear maker, Histoire d'Ours, is perfect if you're looking to buy a new teddy bear of superior quality. This gorgeously soft teddy bear is 60cm big and made with top quality honey coloured plush and is simply perfect to give to both boys and girls. 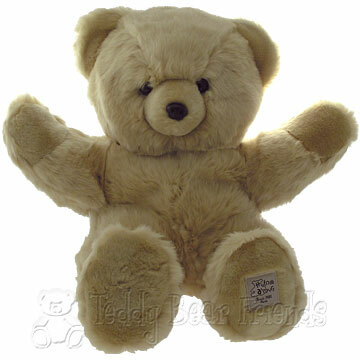 These new teddy bears are brilliant for children and will be loved and treasured. Also perfect as a valentines day gift idea for someone you are truly, madly, deeply in love with!.